The SAPIEN XT valve enables Dr. Kyser to treat his pediatric patients who suffer from congenital heart disease without having open heart surgery. This minimally invasive procedure provides a treatment option for a group of patients who typically face multiple open-heart surgeries, often times beginning at birth or during childhood. As risks increase with each open-heart surgery, a non-surgical option can help them receive treatment, recover and return to normal activities sooner. The procedure is done in the catheterization lab and allows for the valve to be inserted in a vein in the hip and then moved up to the heart and expanded to its full size. Dr. Kyser has been working with a smaller valve, the Melody transcatheter pulmonary valve, since 2011. The Melody valve only reaches up to 22 mm. The SAPIEN XT valve, which reaches 29 mm, allows Kyser to extend care to a larger population, being used in children as small as 40 pounds up to adults. “Many of my patients will have or have had multiple surgeries over their lifetime,” said Kyser. 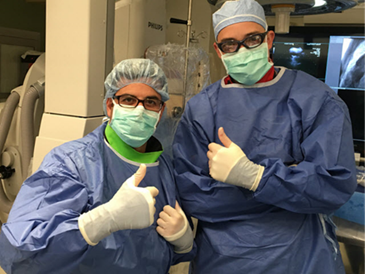 “With the SAPIEN valve, I can now provide a minimally invasive surgery option that allows them to go home the next day and get back to normal activities within a week. 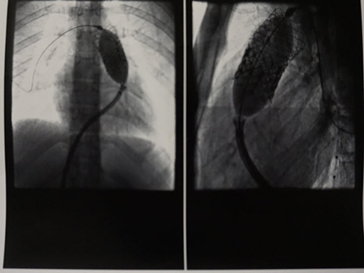 “Before the SAPIEN XT valve, most of his pediatric patients would be referred to surgery, resulting in longer recovery times. Now, they may not require a valve replacement or surgery for 10-15 years. Currently, Randall Children’s Hospital is the third largest center on the West Coast for pulmonic valve procedures and the first and only center providing the SAPIEN XT valve procedure. For media inquiries, contact Ashley Stanford Cone, Legacy Randall Children’s Hospital at astanfor@lhs.org or 503-276-6585.